When I saw this bird standing on top of a rock today I about crashed. It was off the road quite far. But even at A distance I knew I had never seen this guy before. The breeding season is summer. 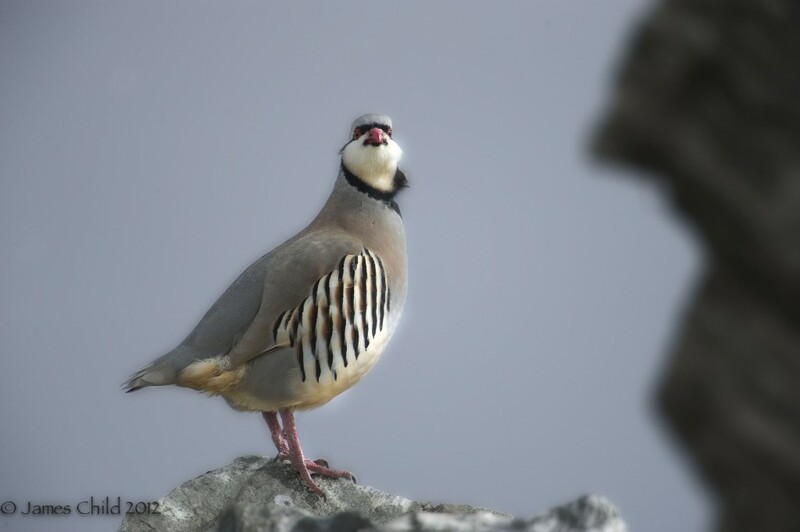 Males perform tidbitting displays, a form of courtship feeding where the male pecks at food and a female may visit to peck in response. The males may chase females with head lowered, wing lowered and neck fluffed. The male may also performs a high step stiff walk while making a special call. The female may then crouch in acceptance and the male mounts to copulate, while grasping the nape of the female. Males are monogynous. The nest is a scantily lined ground scrape, though occasionally a compact pad is created with a depression in the center. Generally, the nests are sheltered by ferns and small bushes, or placed in a dip or rocky hillside under a overhanging rock. About 7 to 14 eggs are laid. n The eggs hatch in about 23–25 days. In captivity they can lay an egg each day during the breeding season if eggs are collected daily. Chicks join their parents in foraging and will soon join the chicks of other members of the covey. 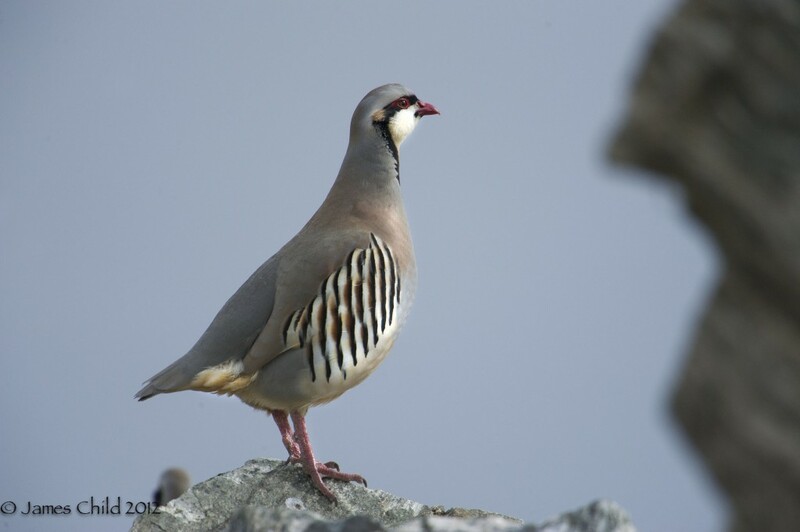 Chukar will take a wide variety of seeds and some insects as food. It also ingests grit.